Centuries after his death, the Sufi poet Rumi is still a phenomenon. Translations of his work routinely top bestseller lists—and have for decades. On sites like Pinterest, his verses are posted, shared, and liked so often that even people who aren’t familiar with his name would likely recognize a line or two of his work. But many know little about Rumi beyond his poetry, and Brad Gooch’s new biography aims to change. 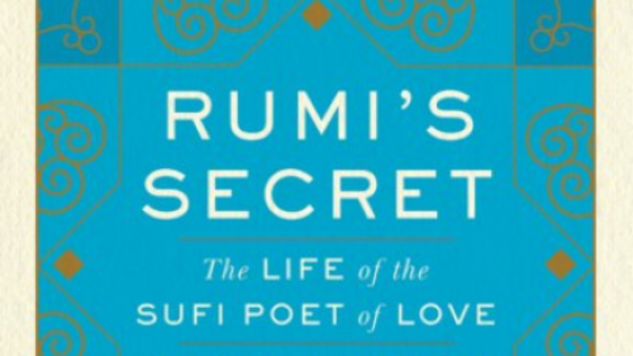 Rumi’s Secret: The Life of the Sufi Poet of Love offers historical context and illuminates the ways in which Rumi’s otherworldly work was shaped by remarkable reality. Rumi was born Jalal ad-Din Muhammad Balkhi in Balkh, near modern Tajikistan and Afghanistan, in 1207. His father was a well-known religious leader who straddled Sufism and Sunni Islam, a combination of tradition that Rumi himself would eventually make the cornerstone of his own teachings. Given his father’s high station and close relationship with leaders across the Persian Empire and into Anatolia, Rumi’s family was able to travel widely. By the time he reached adulthood, Rumi had seen Samarkand, Baghdad, and Damascus, among numerous other towns and caravan routes. His family eventually settled in Konya, a cosmopolitan city with a diverse population. Precocious and devoted to his faith from a young age, Rumi inherited his father’s position as an Islamic jurist and teacher around 1240. His compassion, selflessness, and genuine joy in his own faith drew followers of Islam, Judaism, and Christianity. But in 1244 he met Shams-e Tabrizi, a wandering poet and philosopher with whom Rumi began and intense but brief companionship. Gooch explains that Shams was difficult and could be cruel, at one point abandoning Rumi as a means to test him. Rumi’s followers were largely opposed to the gruff man who pulled their leader’s attention away from his duties. In 1248, just four years after they met, Shams disappeared for good, sending Rumi into deep grief. His writing was shaped by his time with and the loss of Shams, with his now famous imagery tied to Shams and other figures of importance in his life. Gooch does an exceptional—if at times overwhelming—job of sussing out the trends and connections that mattered most to Rumi, including the remarkable era for human learning in which he lived. As Europe was mired in the Middle Ages, the empires in the Middle East were advancing civilization through patronage of the arts and sciences—and that sense of discovery can be found in Rumi’s writings. The poet was prolific; at the time of his death, he’d written thousands of poems and a six-volume epic called The Masnavi. For a man who wrote poems that read as near mythic today, seeing his influences laid out in such detail could be demystifying. But instead, Gooch’s account adds a human touch to a man who appears larger than life. Rumi’s poems reflect his own, revealing a universal nature through their exploration of grief, love, and pleasure in worship. Although Gooch does not identify what Rumi’s titular secret was, it seems that it could be as simple as feeling deeply and sharing it with the world.